As seen on Cycle Chic's new favourite blog - FuckYouVeryMuch.dk. A soulful and yet tragically hip selection of musings and photographs. 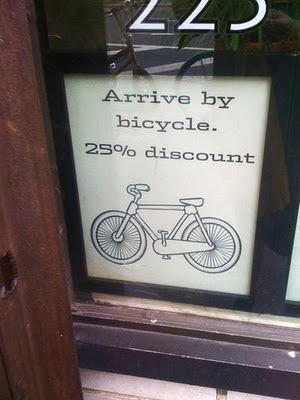 Love the choice of bicycle type for the sign.